Cereal manufacturers know what we want. We need something to cut through that curiously downbeat air which manifests itself around 7.30am on weekdays. And that something is variety. Yes, there's a saviour to the monotony of early mornings and it comes in the form of the variety cereal pack. The brief spark of excitement offered by the tantalising array of options allows us to briefly shrug off that strenuous dread of routine which is just around the corner. 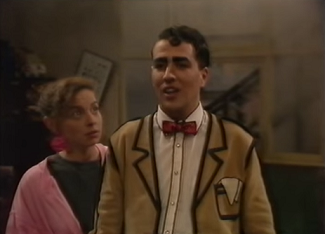 And Breakfast Serials casts itself as the television equivalent. It rails against the tedium of early mornings with short, sharp stabs of drama, comedy and kitchen utensils. Episodes are bookended by The Kitchen Crew aka Teapot, Tin Can and Tomato who ground the show with their trivial, but sometimes surreal mutterings and propensity for delivering hackneyed gags. The variety driven nature of the show begins to seep in once these anthropomorphised kitchen dwellers step to one side to allow the tone and texture of the show to be shaped by a myriad of short serials. Rallying the viewer with their intoxicating sense of variety, Breakfast Serials manages to run the whole gamut of mankind's vast emotional breadth. Flexing its muscular array of choice we're treated to biting lampoons in the form of Cheapo TV, sinisterly bizarre thrillers such as Runners and Nice Chap, the equally baffling performance art of Zounds and, finally, the one off bonkers stories of Single Tales. Episodes are closed by the re-emergence of The Kitchen Crew who are unable to restrain themselves from launching into song as the end credits scroll past. Breakfast Serials found itself serving up 15 helpings of its anthology style madness in late 1990 with episodes measuring around 35 minutes. Episodes aired 8am on Saturday mornings and the series was limited to one solitary run. The dominant name behind the scenes was that future writing star, Russell T Davies, who co-wrote the show with the curiously monikered writing group, The Salad Pig. Mysteriously, no director is listed in the credits, but Russell T Davies is on hand to pick up the producer credit. With a myriad of roles on offer, they're divided up between a fairly small cast of Caroline Berry, John Biggins, Lucy Jenkins and William Petrie. Breakfast Serials wasn't part of our sinew-straining introduction to Saturday mornings for one reason or another, but it was a proposition that intrigued us. Russell T Davies' presence meant that the promise of fantastic dialogue partnered with astounding narrative and emotional depth were less a certainty, more an iron clad promise. We managed to track down two complete episodes and a handful of clips on YouTube, so, although it would be difficult to get a handle on the long term fruits of following the serials, we would be able to get a little taster. The one section which really dazzled and shined with Russell T Davies' trademark wit were the magnificently ludicrous parodies of Cheapo TV. These satires are enlivened with an almost vociferous knuckleduster fuelled attack on the repetitive devices employed in shows such as Last of the Summer Wine and Howards' Way with devastating skill and timing. Nice Chap, too, has a proficient comic flavour swilling around the edges of its dramatic narrative which unleashes a surreal atmosphere. Other sections, however, unfortunately reflect the perplexity of early mornings, although we concede that some of this is down to our lack of exposure to the entire run. Take, for example, Runners which seeps onto our screens with an inherent menace, but is ultimately packed full of trepidatious looks and long pauses. 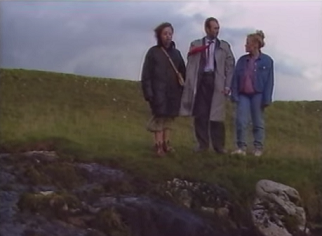 Russell T. Davies would later refine this creeping menace in the outstanding Dark Season, but here it bored us as the narrative wholeheartedly rejected any discernible meaning. And as for Zounds, well, much like receiving a knee to the groin, it's a swift affair, but essentially leaves you hurt, frustrated and whispering obscenities for some time afterwards. There are plenty of bright, snazzy comedic performances in Breakfast Serials and the actors generate a healthy sense of variety across their glut of roles. Only Caroline Berry and William Petrie achieved any level of sustained success in the world of acting, so Breakfast Serials certainly wasn't a launchpad for a new generation of talent. Breakfast Serials failed to reach the upper echelons of children's TV, instead we found it floundering around the lower rungs albeit with well meaning intentions. Unfortunately, it feels as though the writers had a million ideas frothing to emerge on screen when a more harsh approach in the cutting room was needed. 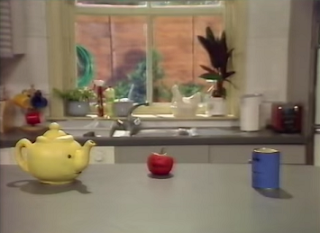 By dispensing with the self-indulgently surreal segments such as Zounds, Breakfast Serials could have concentrated on refining the more interesting aspects of Russell T. Davies and The Salad Pig's vision of breakfast salvation. Remember this fondly. Its funny, you didn't want to get up for school on a weekday, yet I was always up for stuff like this on Saturday mornings! I know what you mean! I always seemed to be up at the crack of dawn on Saturday mornings whilst the rest of the family slept, so TV was a great distraction until the chaos of family life kicked in! Just stumbled by your blog and it's absolutely fantastic! Certainly a step up from typing in "1989 BBC" on Youtube and reading comments that just say "recycled condom only 42 rupee dhaka". Hi, Percy! Thanks for stopping by! The comments on here are only as wondrous as the people leaving them. And, by jove, we have some amazing people coming here! Thanks for bringing On The Waterfront to my attention, I shall have to investigate that at some point! You really would only know about this if you were 14 or under in 1990 and willing to rise before 8p.m on a Saturday, but it was generally worth it. Breakfast Serials was a real curio. There was one moment on Zounds when Lucy Jenkins stood facing the camera pushing the tip of her nose upwards like a pig and pulling a face. After a few seconds she asked the viewer 'What are you looking' at?' It's one of the funniest things I've ever seen on TV. Used to really like show, but even back in the day I realised that it was too off the wall to run to a second season. I personally loved the surrealism of Zounds. 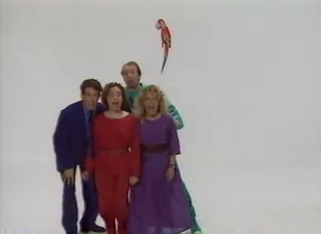 My favourite bit was "Catch the Parrot" where they'd simply jump around to upbeat piano music trying to grab a plastic parrot dangling from the ceiling. For some reason, I found this hilarious!